The annual SRRDG conference is the pinnacle in the calendar for Restorative Dentists in the UK. The organisers of this year’s meeting have worked hard to develop an exciting and interactive programme aimed to help trainees evolve their clinical skills, as well as their leadership and management skills. As the NHS continues to change, so does our role within it, therefore this year’s theme ‘restorative dentistry – sailing forwards’ aims to tackle the changing landscape of restorative dentistry within the NHS. The programme for this meeting focuses on enhancing clinical skills and treatment planning complex cases as well as looking to the future of restorative dentistry with in the constantly changing and challenging NHS environment. We as trainees represent the future of restorative dentistry, therefore it is essential that our clinical, managerial and leadership expertise is developed early in our careers. To achieve this aim, this meeting will encompass a range of lectures, workshops and interactive panel discussions. "As Chair of the Speciality Registrars in Restorative Dentistry Group (SRRDG), it is a pleasure to invite you to Plymouth for the 2017 SRRDG meeting. SRRDG meetings are an excellent opportunity for fellow restorative trainees to meet with colleagues, share knowledge and learn from one another." 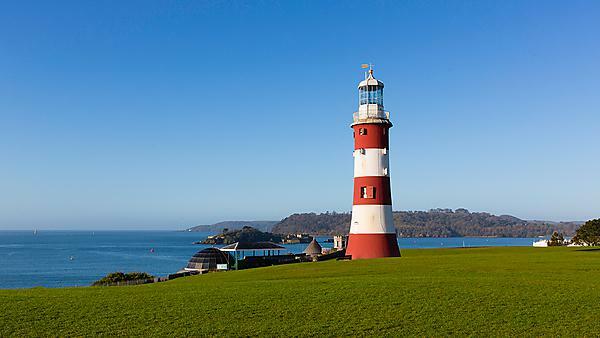 Plymouth is located on the border between Devon and Cornwall on the south-west coast of England. The region is an area of outstanding natural beauty and amongst the most popular tourist destinations in the UK. Plymouth is a vibrant, compact city by the sea. The University and its facilities enjoy a central city location and thus is within walking distance of hotels and the famous Barbican and Hoe, boasting numerous fine restaurants and pubs, in a rich historical setting. Plymouth University is located at the heart of the city of Plymouth, with excellent rail and road links. The campus boasts an extensive range of modern conference facilities including state of the art lecture theatres, exhibition venues, galleries, meeting and breakout rooms. Plymouth University is delighted to be hosting this year’s annual conference in our state of the art Portland Square building. The Portland Square building comprises three atria, giving the building a modern and bright feel. Portland Square houses three lecture theatres with video conferencing facilities, numerous classrooms and a café. All facilities in Portland Square Building are fully accessible. SRRDG is the only restorative society that is created and led by trainees. SRRDG aims to improve education and training and restorative dentistry services in the UK and Ireland. By becoming part of the SRRDG you support the role and activities of the society and you get several benefits including access to reading material suitable for the ISFE and MRD exam preparation. To further the education and training of trainees in the restorative specialities. To help improve specialist restorative dentistry services in UK and Ireland. To liaise with restorative speciality committees and societies.